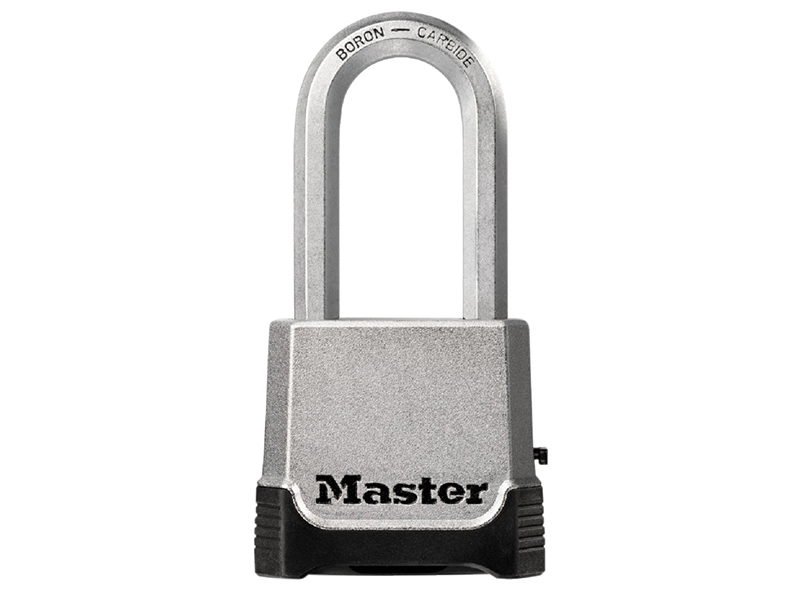 The Master Lock M176EURDLH Excell™ Solid Body Combination Padlock features a 56mm wide zinc body for strength and reliability. 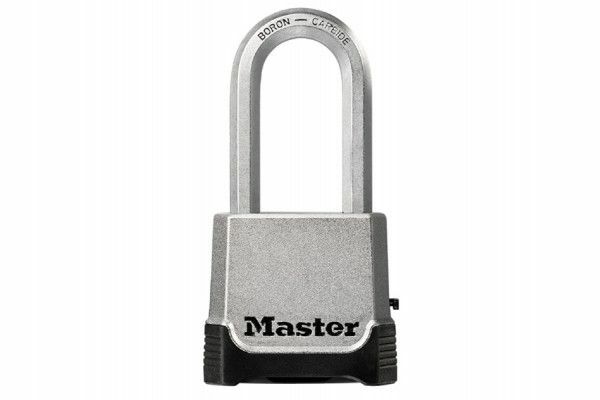 The 9mm diameter octagonal shackle is 51mm long and made of Tough-Cut™ boron-carbide, 50% harder than hardened steel, offering maximum resistance to cutting and sawing. The roller pin cylinder provides maximum pick and pry resistance. The dial cover offers superior weather protection, and reinforced body bumper protects against scratches. Set-your-own 4-digit combination for convenience and security; 10,000 possible combinations. With the added convenience of a back up key.